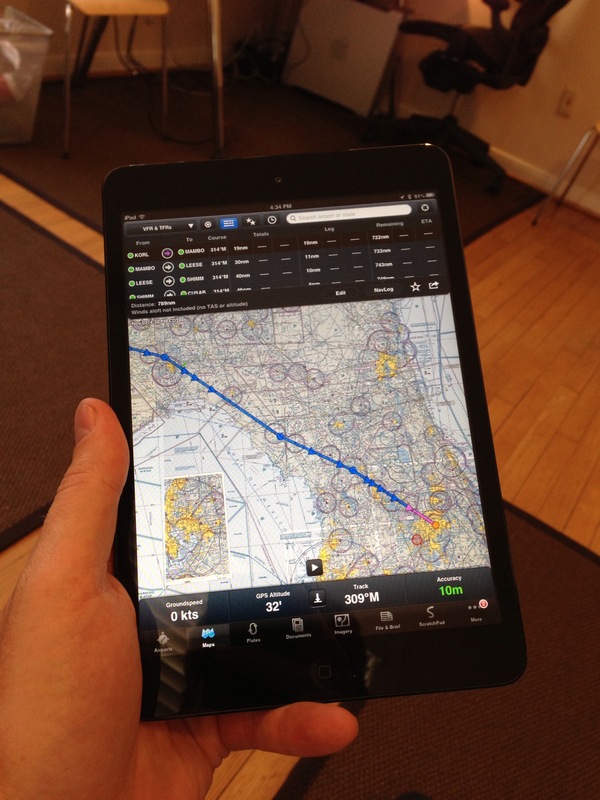 ForeFlight loves the iPad mini. Unboxing and First Impressions. 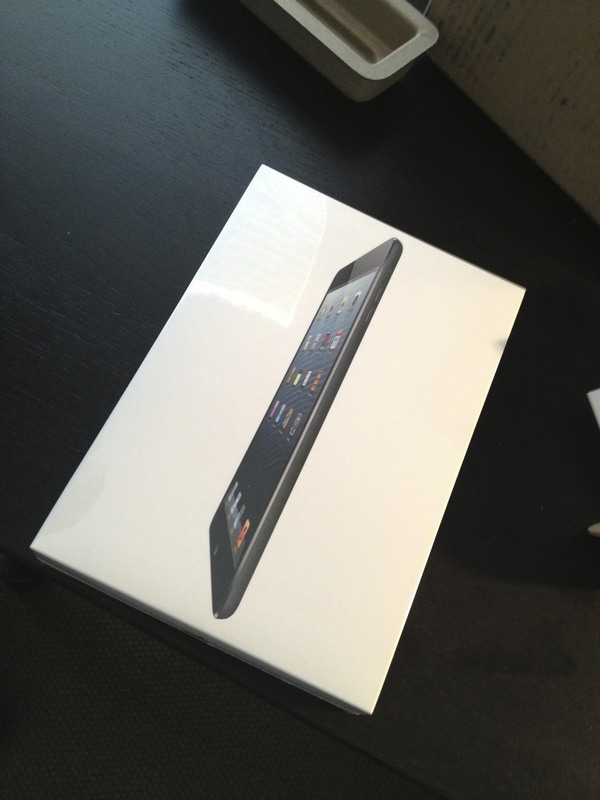 Our first batch of iPad mini‘s arrived at ForeFlight HQ yesterday evening. We unboxed one last night, confirmed ForeFlight Mobile is fully operational, and test flew this afternoon it in the DA40 paired with a Bad Elf Pro (the first minis shipped are WiFi only). First impressions? The mini is smaller and lighter than we imagined. Of course, we could all read the specs ahead of delivery, but there’s nothing like a test drive to really soak in the essence of something. 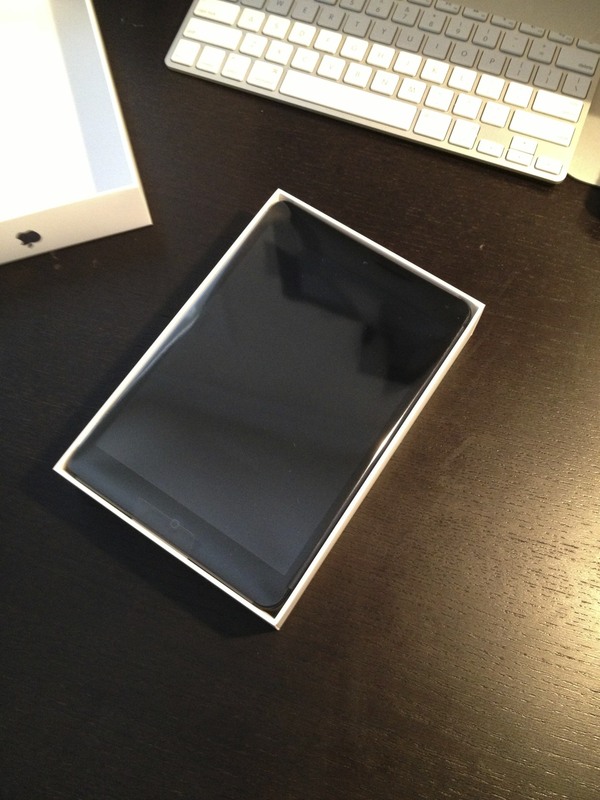 It is light, thin, and has a completely different feel than its predecessors. The feel is a function of the weight, width, and especially the anodized aluminum back. 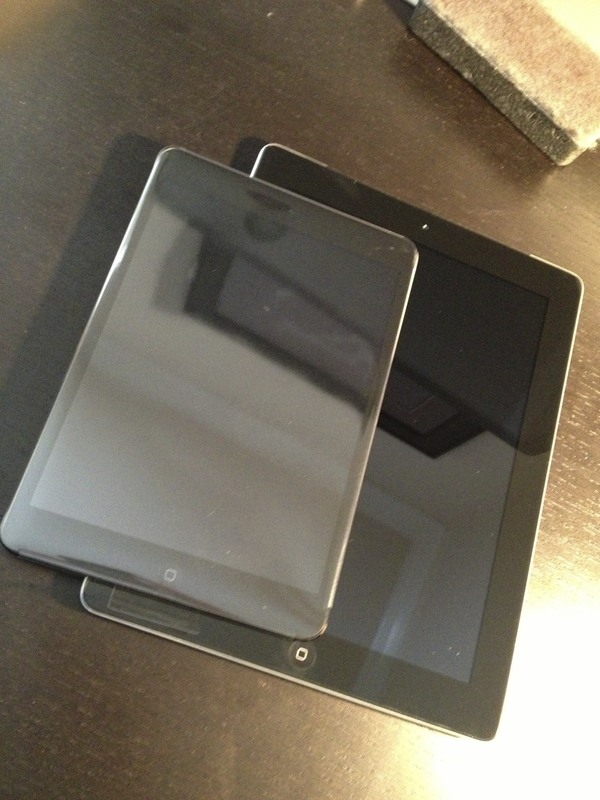 The new dimensions make the iPad mini a great citizen in space-constrained cockpits. Also, previous iPads were slick enough to potentially slip out of your hand if not enclosed in something like a soft touch polycarbonate case that added a few notches of friction. The “new iPad” released in April also ran hotter than previous generations, leading to potential overheating if left sitting in direct sunlight. 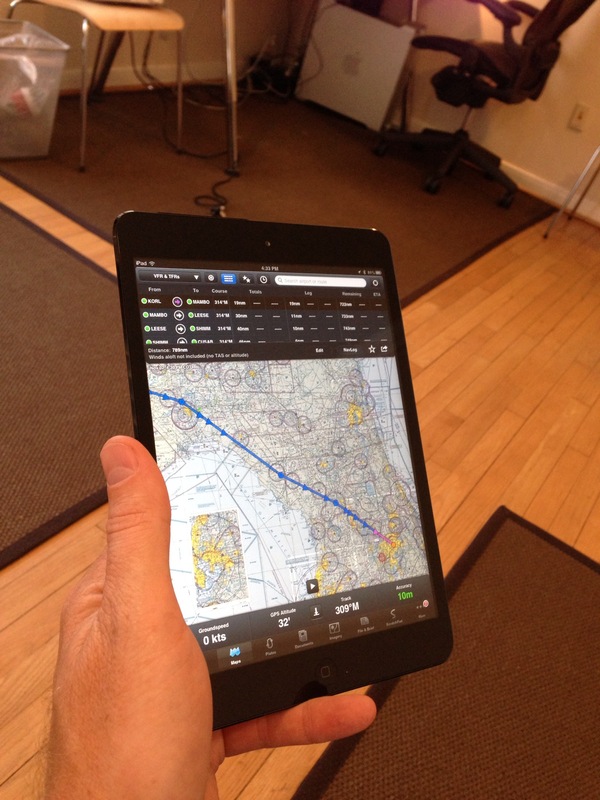 In our initial tests of the iPad mini, it stayed cool throughout the trip. We are delighted by something the mini brings that previous iPads made a challenge: one handed operation. After a few minutes, we realized that we were using the iPad mini mostly with a single hand. One handed operation is great for reading, briefing approach plates, and even panning sectional charts with one thumb. Also, yoke mounting is now a pleasure. Minis on suction mounts will block less of the view, and it will be no surprise in the near future to see minis snapped into custom panel enclosures. 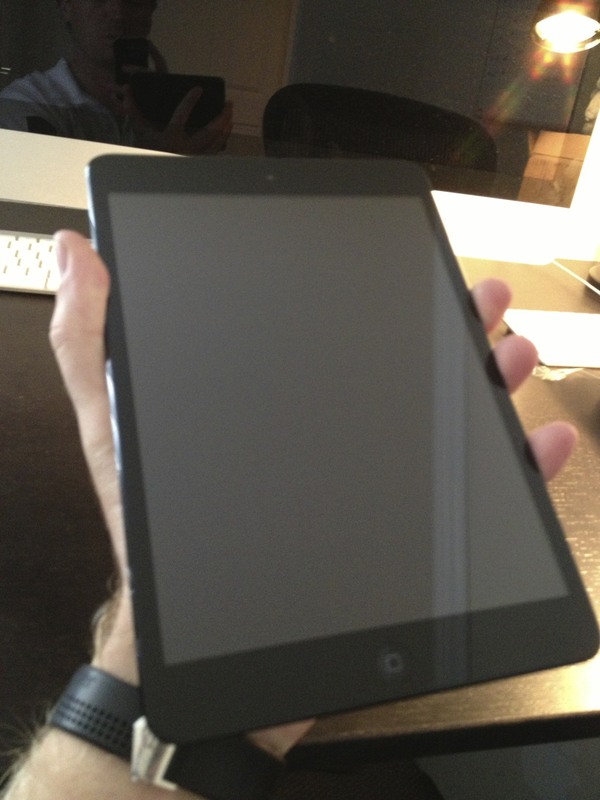 The iPad mini is fast, light, cute, fun to hold, and may elicit a big, wide smile from those in smaller cockpits. 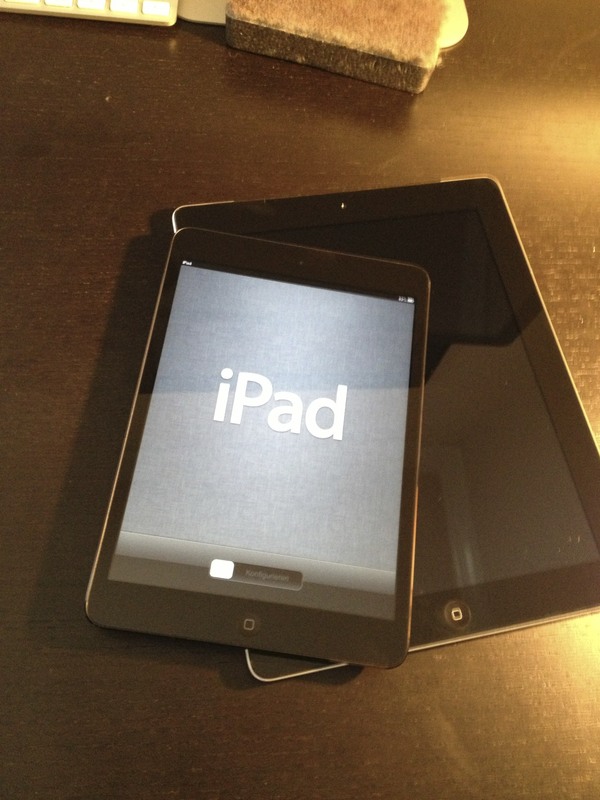 If you have a first generation iPad, the mini is a worthy upgrade candidate. We recommend the WiFi+Cellular model which includes a GPS chip, unlike the WiFi only model. The iPad mini isn’t for everyone, though – fonts are smaller on the 7.9″ screen, and it doesn’t have a “retina” screen like the new iPads and iPhones. If you plan to do much book reading on your iPad, consider the iPad “4”. The retina screen makes quite a difference, as text display is remarkably sharp and thus much easier on the eyes. 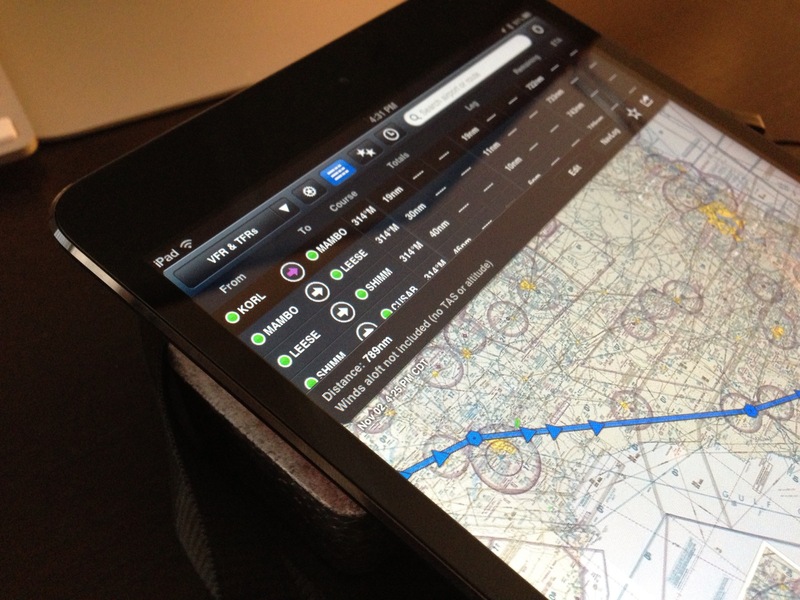 Remember that your individual ForeFlight subscription permits two iPads in addition to your iPhone and iPod touch. Fly with a mini and your old iPad if you want – the safety of a backup doesn’t cost extra. If you need to renew or upgrade, visit our buy page. 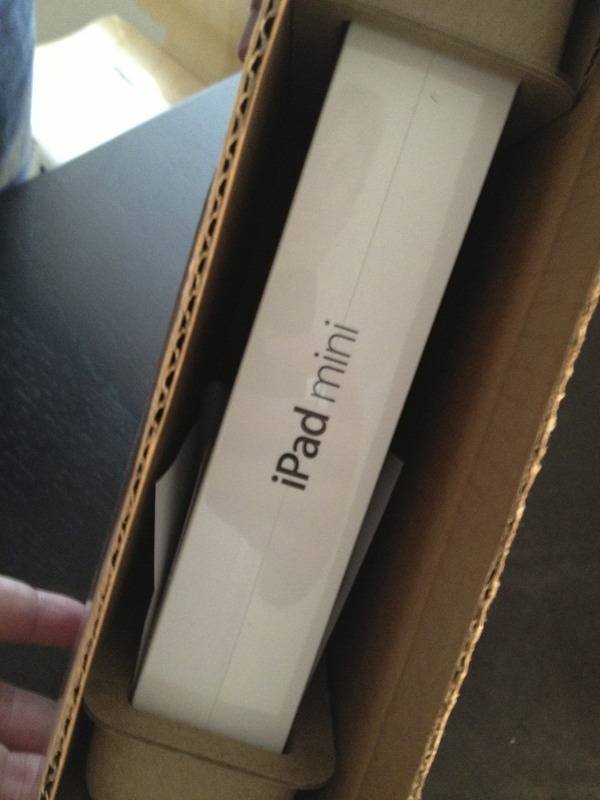 The iPad mini: it’s a joy.